As described in the operations guide, location moves allow you to move location from one zone into the different zone. 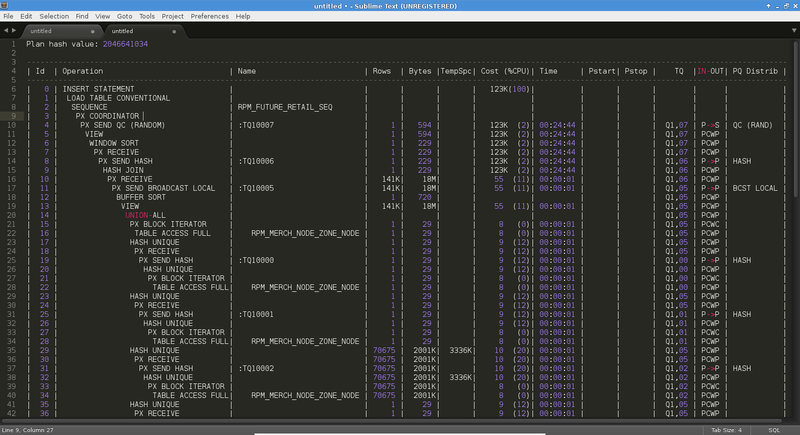 This is one of the most complex batches in Oracle Retail Suite. The batch is running in two phases. First it is needed to run Location Move Schedule batch, and after that the main Location Move batch. In the whole process I did many optimization, and here I’ll describe one of the most recent. When working on the large locations, Schedule batch part of the Location move batch take 6+ hours to finish. 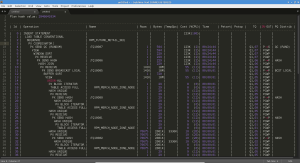 One of the issues is inside RPM_LOC_MOVE_SQL, function POPULATE_GTT. The code is fairly complex, and includes several GTT tables that are most difficult to optimize, as they are ON COMMIT DELETE ROWS. For that type of GTT tables it is not possible to gather statistics, and CBO (Cost Base Optimizer) engine has built in heuristics with hard coded statistics values (table/columns/index statistics…). That assumptions might be accurate, but in most cases they are completely wrong, as you can see on the following picture. As you can see, the code is fairly complex, and includes several GTT tables that are most difficult to optimize, as they are ON COMMIT DELETE ROWS. Difference between the estimated and the actual number of rows is several orders of magnitude. For that reason, CBO has chosen wrong execution plan. As a result, the whole SQL is using more resources than it should, and perform slowly. To optimize the code, I need to simulate the whole process to fetch some data. In this case I need to hint the code to get the execution plan I want. Comparing with vanilla code, the new code is running about 3.47 times faster.